Operation Christmas Child - 10 Day Countdown! 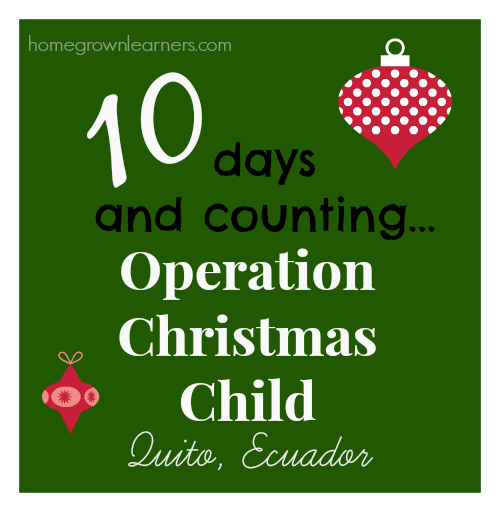 There are just 10 days until I board a plane for Quito, Ecuador, to help deliver boxes with Operation Christmas Child. The excitement has been building since I found out in October that I would be making this trip. I will be honest and tell you I'm a bit apprehensive. Traveling to a foreign country without my husband and children is stretching me. The thought of adjusting to an altitude 2 miles above sea level makes me a little nervous. What will my emotions be when I am there? When I return home? I know, though, that this is what I am supposed to be doing. I have never felt God's call in my life as strong as I do now. 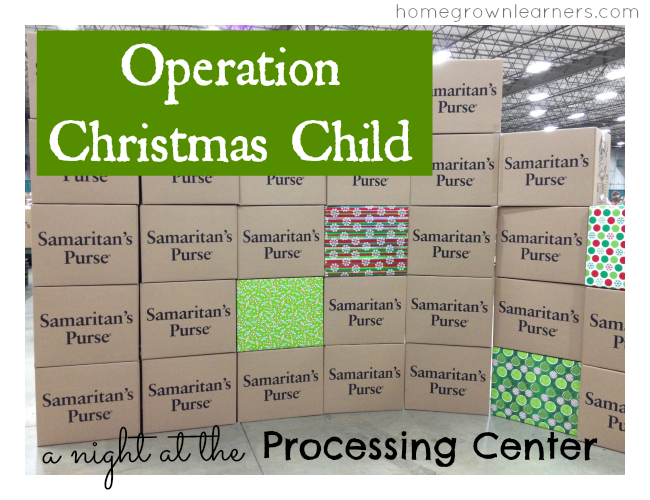 On Tuesday evening I began to get even MORE excited as I volunteered at the processing center in Atlanta. Let's back up just a little bit, though. I imagine I will be blogging about the blessings of participating in this trip AFTER I return home. But, the blessings have already started and I wanted to share them with you. God is really amazing (as if I didn't already know that)! 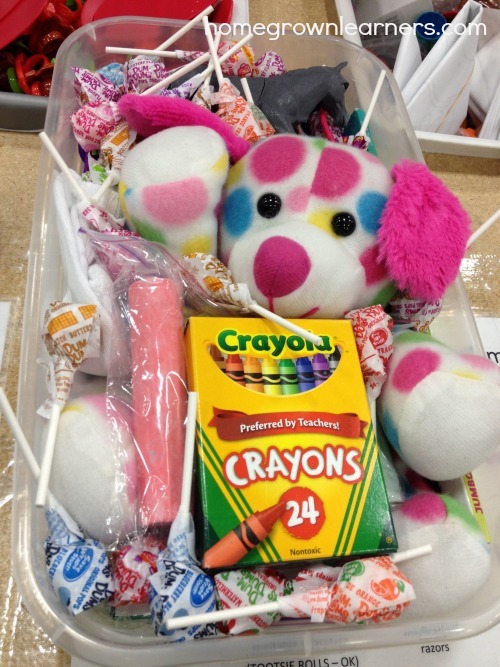 I will be able to hand out trinkets to the children at box distributions. As I got to thinking about what would easily fit into my carry on luggage, rubber band bracelets came to mind. 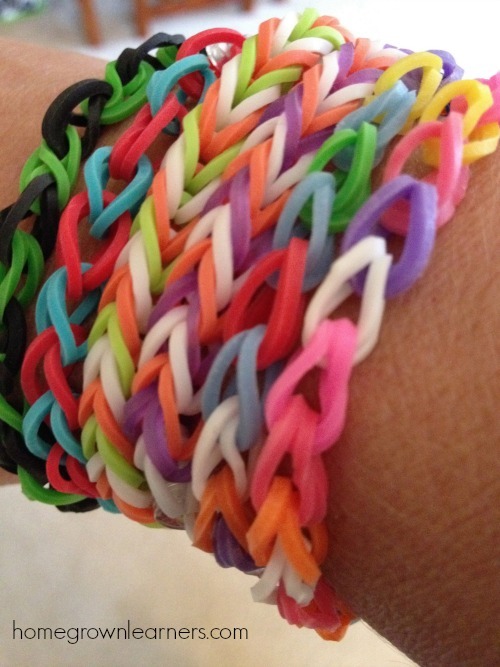 Are your children making these bracelets? Children from our Classical Conversations community are making bracelets. Some of my local friends are having their children make bracelets. Friends from college are mailing me bracelets their children have made. Blogger friends from as far away as California are making bracelets. What a blessing it is for our children to have a purposeful project this time of year. 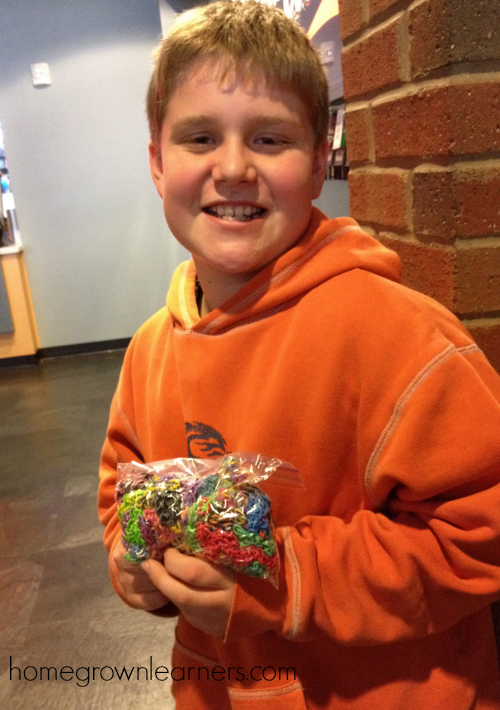 My son's good friend came to me with a bag of over 50 bracelets. Isn't he sweet? I have heard before about blessings on THIS side of the shoebox - and now I get it. Sometimes it is the givers that are abundantly blessed. It has been so much fun to share the good news of Operation Christmas Child with so many friends and family, and even people I do not know. They are getting involved, and through my small part in this ministry they can make a very big difference in a child's life. I have been emotionally overwhelmed on several occasions recently. Even though the box deadline has passed, you can still contribute to this wonderful ministry by building a shoe box online. This is a good gift idea for those grandparents that have everything! If I've learned anything in the past several months, it is that these shoe boxes MAKE A DIFFERENCE. The boxes we processed last night in Atlanta are going to the Ukraine - they will make a difference! Another gift idea is the book Operation Christmas Child: A Story of Simple Gifts. This is going to many people in my family this year! Our Lutheran church is actively involved with Operation Christmas Child. I was happy to travel with 10 friends from church to our local processing center. We drove an hour to get there, but there were volunteers from as far as Connecticut! It was fun to connect with high school youth during the evening, fun to laugh and joke while we were working. The love and care put into each box is so obvious. The sheer magnitude of Operation Christmas Child's efforts are astounding. 80,000 boxes were processed at this site ALONE the day we were there. Connecting with members of my church family in this way was a blessing. One special friend in my church has been so supportive of my efforts - she has been actively praying for me and has provided advice every step of the way. I still have to live in the day to day before I go - which is getting harder the closer the day of departure gets. We're doing some Christmas schooling with Grant. Anna is preparing for her Challenge A midterm next week. We have Christmas recitals, choral concerts, and parties. Christmas in our home is much more SIMPLE this year - a very small tree, just a few presents, and no Christmas cards sent. This is partly because of the time constraint I'm under right now, but also because I just want this Christmas to be about JESUS and not the other trappings our society tells us are important. If it comes to your mind, would you pray for all the Operation Christmas Child volunteers and staff that will work to bring boxes to millions of children this year? Most importantly, would you pray for the children that are receiving boxes? Pray they will feel the love of Jesus through a simple shoe box and be inspired to learn more! Have you been involved in Operation Christmas Child this year?